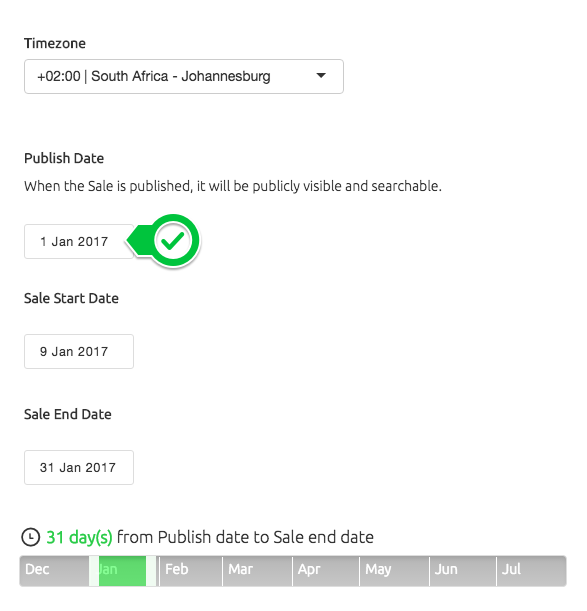 You can schedule your Sales or Promotions ahead of their start date by changing the “Publish Date“. The publish date should always be before or the same as the Start Date of your Sale & Promotion. Dragging the first tab will adjust the Publish date. Please check all your dates afterwards, as some rules may have been applied whilst dragging. Why is my ShweetSpot profile still in Googles search? If you need any further help, don't hesitate to send a request to our support team.